Combine all ingredients in medium-sized bowl. 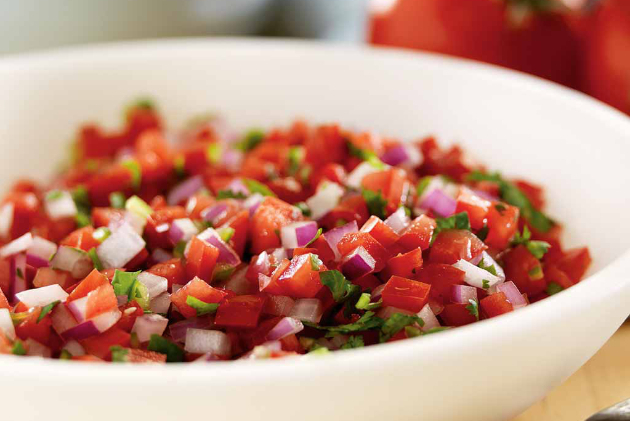 If salsa is too hot, add more chopped tomatoes. If not hot enough, add another chile. Refrigerate 30 to 60 minutes before serving, allowing flavors to combine. Makes approximately 2 cups or 4 servings. Recipe from Chef LaLa’s Latin Lover Lite.